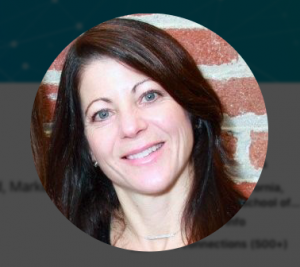 Alpha Woman’s interview with Lisa Hannah, President and CFO of Cultivating Wellness got underway just as an internet outage in her town in Northern California was in full swing. True to the Alpha Woman she is, Lisa persevered and we proceeded with the interview. AW: Early in your career, you worked for a West Coast company that operated on Wall Street. Can you give us an overview of that journey? I started in a boutique investment firm in San Francisco in the client services department where I worked with the senior portfolio managers. It was a great place to cut my teeth because it was still old school Wall Street where they were more like the Warren Buffett type of value investors. I had wonderful mentors and they treated me very well. It was the period just before tech took off and data collection, storing and analysis was all pretty much manually done at that point. As a result, they were constantly out of compliance and data was scant, so they put me on the task of automating the whole system. There were two of us on the project – a 45 year old very smart woman from New York and me, a 25 year old woman from San Francisco. We automated the whole process, under budget and within our timeframe. That caught the attention of my managers. They then asked me to help expand one of the first proprietary systematic marketplace research products created for an investment firm. Traditionally, investment managers relied on company management for their information about the company they were considering investing in. Suddenly, technology enabled companies to gather 3rd party research by talking to suppliers, store managers, competitors, truckers and more. AW: Did companies pay a lot of money for this data? Yes! Data on the marketplace became a crucial component of making buy and sell decisions for big mainstream money managers. We shifted behavior and made our clients money – when our research refuted what company management was reporting. We knew what we had and left the company to build out a stand alone marketplace research company, Off The Record Research. My role as a senior sales representative was to take this data aggregated and then make sense to the money managers but you also had to know how the money managers were investing. Some of them were long-term investors, some of them just wanted a quick pop, so that’s where I got paid a lot of money as I would customize the data analysis for my clients. We were at the right time at the right place. AW: They didn’t understand the value of what they had? They seemed to have no idea. My business partner was in his forties and I was in my twenties so of course we would walk into meetings and they would think I was his assistant. There were however many times when I would go to meetings alone and I can’t tell you back then how many men would just get up and leave. Literally walk out of the meeting if it was just me. AW: So what did do you actually do when that happened? The senior partner who was still in the room looked at me and told the guys who were there that if anybody left the room they’d be fired. He defended me. I had a really great day. I was able to show that some of their stock positions were falling off. I knew my research and was able to talk to the data to back up my point. At that moment I realized that if you know your product, and you have a good product, they quickly don’t care if you’re a woman or a man. They’re there for business. There is a tremendous amount of bias out there but the way I dealt with it is I held my ground. I had a good product and I knew I could help. If I didn’t have that I couldn’t hold my ground. An Alpha Woman doesn’t ask people to listen because she’s a woman. She shows up to the table and people listen because she has something of value to offer and say. As a result of that meeting we did a very large dollar value research deal which ended up blossoming into a huge relationship. I still have a copy of the initial check that they wrote us for $250,000. I learned that standing my ground in confidence, and knowing what I bring to the table is key. Parts of that meeting were devastating but the fact that I turned the situation into a positive continues to motivate me today. Another thing I learned in that time is that commanding respect starts with self-respect. You don’t need to be ‘one of the boys’ to get ahead. AW: How did you balance being the mother of 3 small children with a big job in the financial sector on Wall Street, while living on the West Coast? That whole experience made me so strong and resilient. My second pregnancy was a difficult one and I could really see the writing on the wall at that point. As a career woman, in the financial services industry, you have to hire a full-time staff to run your life so you can keep making money, or you have to choose to back off. I just couldn’t do it. I found that when I became a mother I didn’t need to go out and play the Big Game at the expense of my children. I felt powerfully that I had to raise these babies, so I came home and had a personal 911. I realized I wanted a divorce, and I needed to change my life so I could be home for my children. I wanted them to know who I am. To me, if I couldn’t be a mentor to my children, how could I do that for anyone else? I fell in love with my babies and I’ve done everything through that lens. I womansplained to this man that motherhood actually prepared me to be the CEO/visionary that a company needs. Parenthood forces you to look at the world through the eyes of your children, and so I have learned to think about the future, not only for myself, but for the next generation. If more CEO’s looked at things that way, I think we would have better companies and a much better world. Becoming a mother has made me a better business leader. AW: Tell us about Cultivating Wellness. How did you get from Wall Street to a wellness company? I had a business that upgraded and added salons and spas to Senior Homes. Seeing caregivers sneak in CBD before it was legal, and use it to help senior patients alleviate pain or anxiety, help with dementia or sleeping was an epiphany for me. I realized that cannabis was not just about a bunch of stoners sitting around at a party getting high. 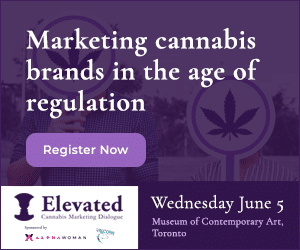 This was the moment where I felt that cannabis legalization was going to be a game-changer. In 2012! 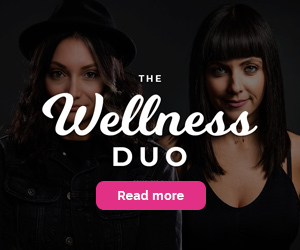 Fast forward to 2019 and we are now focusing specifically on CBD products, which is a wellness and medicinal ingredient that can be infused in our daily life at various doses, with various means of ingestion. It helps – people are getting relief from it. That really speaks to me. To be able to offer something new in the wellness arena is huge. And we still aren’t yet aware of the effects of all the various compounds in the plant. Seeing that research open up will be fascinating. AW: What does Cultivating Wellness do? We brand, market and distribute CBD products that are ready to be widely distributed into the mainstream marketplace. We definitely see our CBD products being developed and distributed internationally. AW: What CBD products are you most excited for in the next 6 months to year? Right now, people are still confused about the difference between CBD and THC, so I believe that in the next 6 months to year, the low-entry CBD products such as powder that can be infused in your drink and products that can be easily put on shelves such as gum and mints will be the innovators. We’re also working with companies that have developed capsules such as a vitamin that you take every day for wellness. 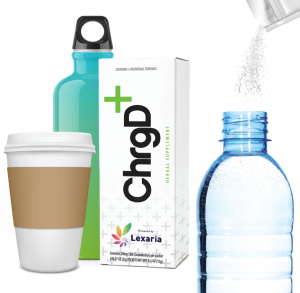 Beverages are big and lots of people will pick them up, but we’re looking at products that get everyone over the hump, and that normalize daily CBD consumption for health and wellness. AW: Are you distributing CBD products nationally at this point? Yes, we are! It’s technically legal in the U.S. at this point, although each state has different regulations, so we’re forced to crawl before we walk. What I’m afraid of is that we’re going to be crawling and they’re going to ask us to get up and sprint. Once the market does open up, we’re positioning ourselves as being able to scale quickly to be able to get our products into large, mainstream companies. It’s a longer game to set up, but it’s a bigger game. We’re working with top-notch products and will soon be branding our own products to create a line of CBD brands that people trust. AW: You were raised with brothers – how did that influence you as a woman moving through the world? It was a good training ground for sure! When I had my daughters I didn’t really know what to do with them at first, as I had spent so much time with boys, but I think it helped me as I have a tremendous comfort level with men and I’m not intimidated. I spent a lot of my youth watching my brothers do stupid things and get caught, so I always felt like I had more common sense than many of the men I met in my life. At the same time I’ve had some amazing male mentors. I got a lot of intel about how men perceive women – good and bad – in a house full boys, and sitting with a bunch of traders at my job. The men in my life made me realize that they will perceive you in any way that you put out. Self-respect and dignity will always win the day.